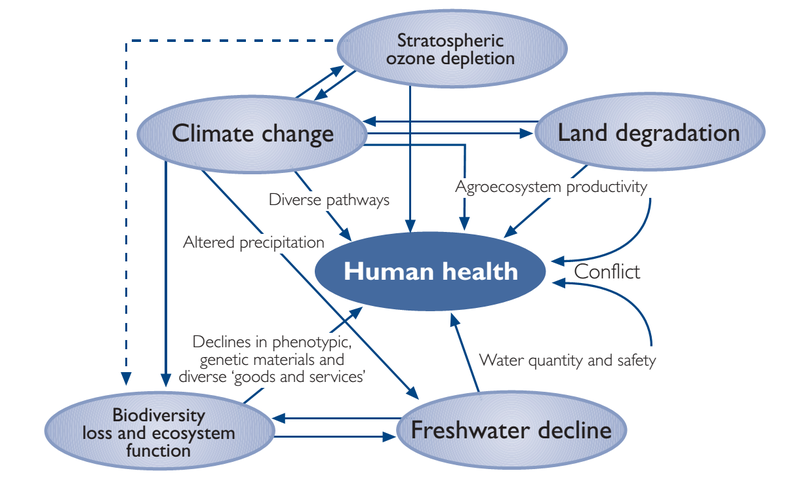 Human health can be affected by a wide range of ecological disruptions. Links with climate change, is a recent development and reflects the expanding breadth and sophistication of scientific knowledge. Nevertheless, the relationship of human health and disease with climate probably predates written history. The Greek physician Hippocrates (about 400 BC) related epidemics to seasonal weather changes, writing that physicians should have “due regard to the seasons of the year, and the diseases which they produce, and to the states of the wind peculiar to each country and the qualities of its waters”. Figure 1: Interrelationships between major types of global environmental change, including climate change. Note that all impinge on human health and—though not shown here explicitly—there are various interactive effects between jointly acting environmental stresses. The Paris Agreement, adopted on 12th December 2015, and apparently heading toward early ratification perhaps this year, marks the beginning of a new era in the global response to climate change. The world would have a global climate agreement that will have a major public health policy impact as countries take action. As stated in the agreement, “the right to health” will be central to the actions taken. Health adaptation to climate change: Increasing the resilience of health systems, and the environmental and social determinants of health, to climate risks. Gaining the health “co-benefits” of climate mitigation measures, particularly through reducing nearly seven million annual deaths from air pollution. Scale up financial investments in climate change and health. Develop a new approach to link health, economics and climate change. Engaging the health community and civil society in communicating and preventing climate risks, and in taking advantage of opportunities for health. Measuring the progress that countries are making in protecting health from climate change, and reporting through the WHO/UNFCCC climate and health country profiles and Sustainable Development Goal indicators. 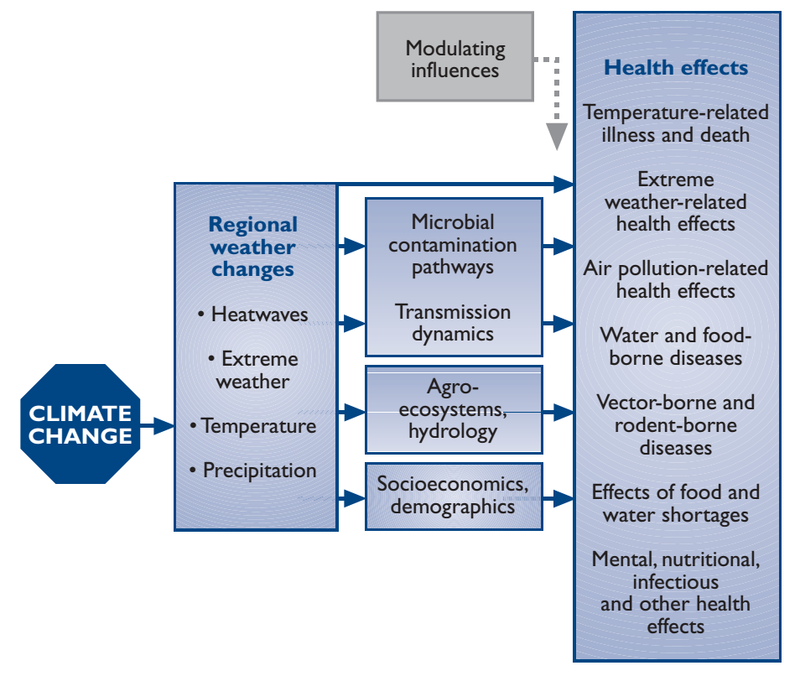 Figure 2: Pathways by which climate change affects human health, included local modulating influences and feedback influence of adaptation measures (adapted from Patz et al., 2000). There are also more indirect and uncertain risks: including the potential for mass displacement and disruption of livelihoods in low-lying coastal zones and small island states; increased risk of violent conflict associated with resource scarcity and population movements (Sayne, 2011), and; a slow-down in economic growth that can exacerbate poverty. And not all climate-related impacts will by default be negative. Last week the incidence of influenza-like illness in New Zealand as we emerged from our winter season was 19.7 per 100,000 patient population while at the same time last year the rate was 123.7 per 100,000. Last week’s incidence rate falls far short of the threshold rate of 37 per 100,000 which usually signals the start of the flu season. Tim Wood an Institute of Environmental Science and Research (ESR) Senior Scientist commented that there is no definitive reason for the low rate has emerged yet – it could be the mild winter (on average days have been about 1.5 to 2.0 degrees warmer than the longer term average) a change in the virus or greater immunity within the community. Still warmer winters could signal a change in flu virus transmission potential. Enhance health information systems. Assess future health risks and necessary responses, to enhance disease surveillance and develop early warning systems (EWS) for emerging risks including outbreaks. This action will include the use of meteorological information to improve disease surveillance, early warning and enhanced health preparedness for and response to extreme weather events. It also includes investment in research on risks and responses to protect health from climate change. Develop the capacity of the health workforce to address climate risks. Support capacity-building through the setting of norms and standards, development of technical guidance and training courses, and through mainstreaming climate change and health topics into medical and public health training. Promote climate resilient and sustainable infrastructure and technologies. Ensure that health facility, and the services they provide, are able to withstand climate risks and have access to essential services such as energy, water and sanitation, including during extreme weather events. Dengue is a systemic viral infection transmitted between humans by Aedes mosquitoes. For some patients, dengue is a life-threatening illness. There are currently no licensed vaccines or specific therapeutics, and substantial vector control efforts have not stopped its rapid emergence and global spread. The contemporary worldwide distribution of the risk of dengue virus infection and its public health burden are poorly known. According to an exhaustive study by Bhatt et al. (2013), this infection total is more than three times the dengue burden estimate of the World Health Organization. Stratification by country allows comparison with national dengue reporting, after taking into account the probability of an apparent infection being formally reported. New risk maps and infection estimates provide novel insights into the global, regional and national public health burden imposed by dengue. These maps provide a starting point for a wider discussion about the global impact of this disease. Figure 3: Dengue geographic locations of dengue occurrence data in Asia (Bhatt et al., 2013). Figure 4: Boosted Regression Trees (BRT) model probability of occurrence map. Map predicted at a 5km × 5 km resolution with exclusion criteria (Bhatt et al., 2013). 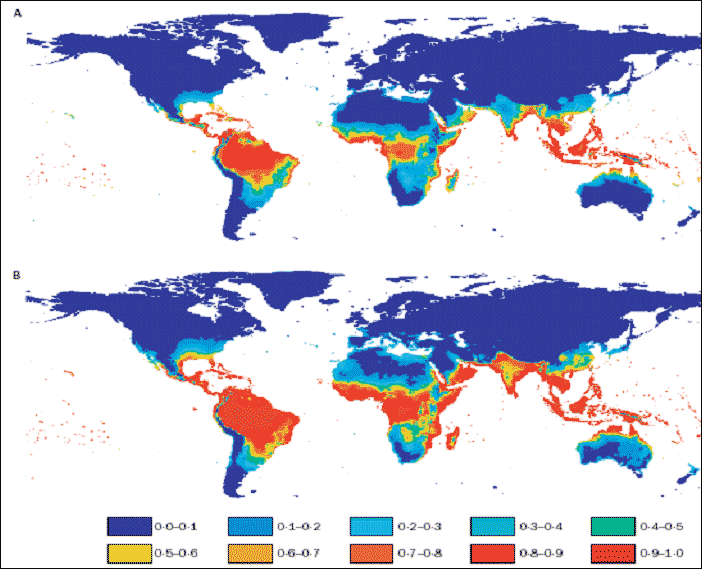 Figure 5: Scientists modelled the estimated baseline population at risk for dengue infection in 1990 (A) and in 2085 (B) using climate data for 1961–1990 and projections for humidity change—a function of climate change—for 2080–2100. Ranges above indicate percentage of the population at risk: 0–10%, 10–20%, etc. However, many scientists do not agree that climate change will appreciably alter the risk of dengue (Hales, et al., 2002). Figure 6: Hotspots analysis of climatic suitability for Oc. camptorhynchus in New Zealand (de Wet et al., 2005). 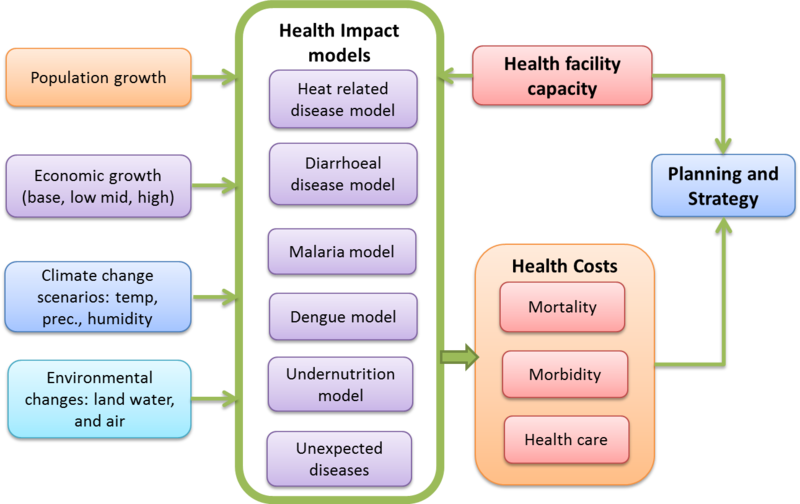 Figure 7: Climate Change Health Impacts and Strategic Planning Model based on the RIDS (Risk Informed Decision Support) system. An indicator of relative poverty. We can then built a disease distribution model using a boosted regression tree (BRT) framework. Figure 8: Modelling and monitoring climate change and health in GIS environment with CLIMsystems tools such as SimCLIM for ArcGIS – Climate. Bhatt, S., Gething, P. W., Brady, O. J., Messina, J. P., Farlow, A. W., Moyes, C. L., & Myers, M. F. (2013). The global distribution and burden of dengue. Nature, 496(7446), 504-507. Brown, R. (2016). Warm winter and higher vax cover contribute to ‘incredibly low’ rate of flu. http://www.nzdoctor.co.nz/news/2016/september-2016/01/warm-winter-and-higher-vax-cover-contribute-to-%E2%80%98incredibly-low%E2%80%99-rate-of-flu.aspx Accessed on 5 August 2016. Hales, S., De Wet, N., Maindonald, J., & Woodward, A. (2002). Potential effect of population and climate changes on global distribution of dengue fever: an empirical model. The Lancet, 360(9336), 830-834. Sayne, A. (2011). Climate change adaptation and conflict in Nigeria. United States Institute of Peace Special Report # 274.